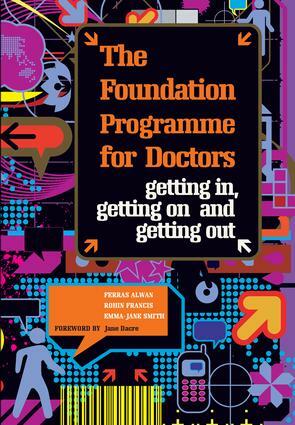 Section 1: Overview of Modernising Medical Careers and the foundation programme. Modernising Medical Careers. The new structure to postgraduate training. The make-up of the foundation years. Specialist training. Non-training posts. Section 2: Applying to join the Foundation Programme: MDAP and MTAS. How did MDAP work? The problems of MDAP. Welcome to MTAS. Medical school input. Applying for UoAs instead of jobs. Making the most of MTAS. Section 3: What makes a good application form? Academic achievements. Non-academic achievements. The New Doctor principles. Educational and personal reasons. Teamwork and leadership. Section 4: How to write your application form. Academic achievements. Non-academic achievements. The New Doctor principles. Educational reasons for applying to your Foundation School. Personal reasons for applying to your Foundation School. Teamwork. Leadership. Section 5: FY1 and starting out as a doctor. What it's all about. How the Foundation Programme works. How it's organised. The aims of the programme. Getting started as a new doctor. Before starting work. Contracts and job descriptions. The first day: induction. Accommodation. Salaries. Working hours. Structure of FY1. The curriculum in FY1. Formal teaching in FY1. Assessment and feedback. Why? How and where? Methods. Standards. Collating the results. Foundation Learning Portfolio. Personal Development Plan. End of FY1. Section 6: FY2 and beyond. Introduction to FY2. Structure of FY2. The curriculum in FY2. Formal teaching in FY2. FY2 placements. Shortage specialties. General practice. Academic medicine. Taster' experiences. Assessments and portfolios in FY2. The end of FY2. Specialist and GP training programmes. Changes to the system. Applying to specialist training. How it will work. Section 7: Frequently asked questions. Applying to the Foundation Programme. The Foundation Programme. Section 8: Useful resources. Careers advice. Useful organisations. Defence organisations. British Medical Association. General Medical Council. Postgraduate Medical Education and Training Board. Income protection. Royal Colleges. UK deaneries and foundation schools.